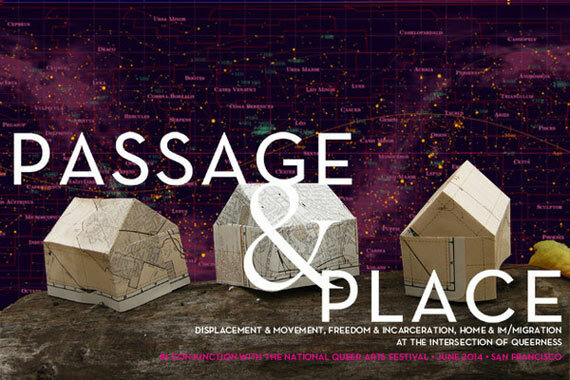 Passage & Place is a multimedia visual arts exhibition, book project, and skillshare series that explores displacement & movement, freedom & incarceration, and home & im/migration at the intersection of queerness. How do our individual and collective bodies affect and politicize the space around them, and how does the space around us affect and politicize our individual and collective bodies? How do our identities inform the way we understand movement/displacement and freedom/confinement? In what ways can coping mechanisms transform into intentional acts of strengthening? Featured artists include Black Salt Collective’s Sarah Biscarra-Dilley and Grace Rosario Perkins, Paper Buck in collaboration with members of the Transgender, Gender Variant & Intersex Justice Project (TGIJP), and Zeph Fishlyn in collaboration with the Anti-Eviction Mapping Project. Curator Lex Non Scripta and Annah Anti-Palindrome will display a collection of artwork and letters from incarcerated and non-incarcerated queers addressing ideas of and relationships to Home. Work by non-incarcerated queer artist Henriette Hellstern-Kjoeller, Denmark, for PASSAGE & PLACE, 2014. For the PASSAGE & PLACE book project we have compiled a collection of written and visual artwork from queer and trans folx both inside and outside of prison, that consider and complicate the topic of “Home”. Some contributers include Virgie Tovar (author of Hot & Heavy), Leah Lakshmi Piepzna-Samarasinha (author of Consentual Genocide, editor of The Revolution Starts at Home), Heidi Andrea Rhodes (co-founder & editor of Reveries & Rage), Ellie Krnich (co-chair of Femme Conference), Veronica Stein (Fabulous Brown Works), Jacks McNamara (author of Inbetweenland, co-founder of The Icarus Project), Banah Ghadbian (Feminist Wire), and more! As part of reaching beyond walls, we partnered with the TGI (Transgender | Gender Variant | Intersex) Justice Project/TGIJP and Black & Pink to send the Passage & Place call for submissions to currently incarcerated LGBTQ prisoners. We received over 100 letters, poems, and artwork! 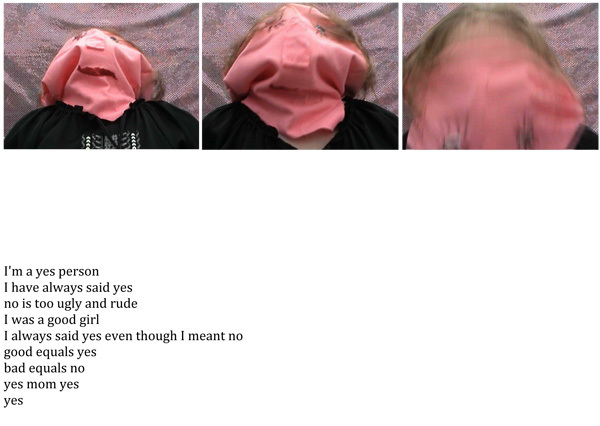 A collection of these letters and images will be bound and printed into an anthology released in conjunction with the Passage & Place exhibition at the National Queer Arts Festival, 2014. Henriette Hellstern-Kjøller is Danish artist and lesbian based in Copenhagen. She graduated from the Funen Arts’ Accademy in 2011. She works with paintings, video, performance, installations and other medias. Her works has also been selected for several exhibitions in Denmark and abroad. She made her first solo exhibitions ‘StressHat’ in Copenhagen (2012). She loves to present her queer works in a queer context and has taken part in GendErotica 2013 (Rome), Entzaubert DIY Queer Film Festival 2010, 2012 (Berlin), Queere Filmtage Zürich 2012, Lesbisch Schwule Filmtage 2010 (Hamburg) and Threads at SOMArts Cutural Center (San Francisco) 2010. Henriette is not afraid of dealing thoroughly with controversial subjects such as equal rights, power, sexuality and good versus evil. Other articles about Henriette Hellstern-Kjøller at Feminine Moments.